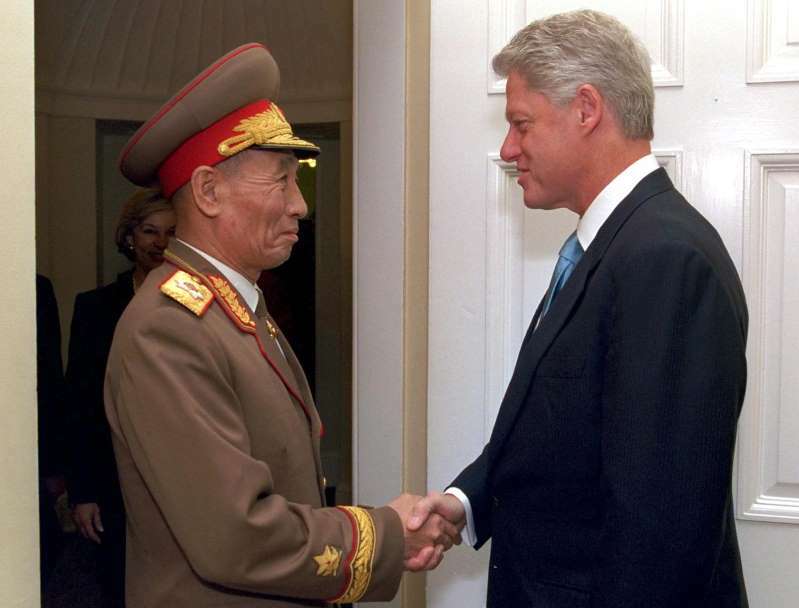 When President Bill Clinton struck a landmark deal with North Korea in 1994, the isolated nation agreed to take a variety of specific steps that included freezing and later dismantling its nuclear program, as well as opening its facilities to international inspectors. When President George W. Bush forged a deal in 2005, North Korea promised to abandon all of its nuclear weapons programs and return to the Treaty on the Non-Proliferation of Nuclear Weapons. “It is the most watered-down joint statement concerning these two nations ever,” said Sung-Yoon Lee, a North Korea expert at Tufts University. In many ways, Trump’s whirlwind negotiations with the North Koreans defy comparisons. Instead of months or years of low-level talks culminating in a landmark accord, Trump agreed to a face-to-face meeting with Kim at the outset, before either side had even agreed on a broad definition of denuclearization. The Trump administration is also dealing with a North Korea that has a much more sophisticated nuclear weapons program, with more powerful warheads and more accurate intercontinental ballistic missiles. That arsenal has given Kim more leverage at the negotiating table, but Trump has done little to dampen expectations for what he can achieve. By meeting with Kim in Singapore on Tuesday in front of thousands of journalists and photographers, Trump has already given the regime a carrot it long sought, and he threw in an additional concession by suspending U.S. military exercises with South Korea. In return, Trump received a vague promise from Kim to work toward denuclearization and a commitment to return the remains of American service members lost in North Korea during the Korean War more than 60 years ago. Efforts by previous presidents committed Pyongyang to far more detailed and specific restrictions, though the deals all ultimately failed. “This new commitment to denuclearize is actually more vague and even weaker than the 2005 six-party joint statement and the 1992 inter-Korean Joint Denuclearization Declaration,” said Duyeon Kim, a research fellow at the Korean Peninsula Future Forum, describing two major diplomatic statements. During the Clinton administration, the landmark disarmament deal known as the Agreed Framework was hatched in October 1994 and ended months of saber-rattling after Pyongyang withdrew from the Nuclear Non-Proliferation Treaty. At the time, North Korea had begun turning its nuclear fuel into warheads. But under the deal, the regime froze its nuclear activities and agreed to dismantle nuclear facilities in return for oil and two light-water nuclear reactors for electricity. The deal imploded in 2002 when Washington accused Pyongyang of secretly developing a nuclear program through the use of enriched uranium. As written, the Agreed Framework, a more-than-950-word document, required far more North Korean concessions than Trump’s 350-word document, including the admission of international inspectors and the freezing of reactors, experts said. But Trump’s joint statement falls short even when compared with smaller, piecemeal agreements made before the 1994 accord. It also demands less than the Bush administration’s six-party talks, the 2003 negotiations involving the United States, North Korea, South Korea, China, Japan and Russia. Those on-again, off-again discussions lasted until 2008, and involved North Korean steps to pause its nuclear activities and shut down parts of its nuclear complex in exchange for economic benefits and security guarantees. The talks ultimately imploded over differences on a verification regime, and North Korea formally withdrew from the negotiations after it launched a long-range rocket, prompting international outrage. Still, those talks tried to nail the regime down to more specific concessions, including a 2005 commitment to abandoning “all nuclear weapons and existing programs and returning, at an early date,” to the Non-Proliferation Treaty. Supporters of Tuesday’s agreement say it serves as a starting point for more meaningful discussions. Others take a more dim view, pointing out that the first two bullet points — committing to a new relationship with Pyongyang and a “stable peace regime” — benefit only the North Koreans. “ ‘New U.S.-DPRK relations’ and ‘peace regime’ meet North Korea’s needs, while Kim Jong Un simply reiterated a prior commitment in the Panmunjom Declaration to ‘complete denuclearization,’ ” said Scott Snyder, a Korea expert at the Council on Foreign Relations. He emphasized, however, that the Trump administration is still working toward a final deal. “It marks the beginning rather than the culmination of a process,” said Snyder. Critics of the joint statement say the United States walked into a trap that will spell the end of the “maximum pressure” campaign designed to isolate and extract concessions from Pyongyang. “It’s a victory for North Korea, in having initiated an open-ended, drawn-out negotiation process that ensnares the U.S. into not enforcing sanctions,” said Lee. But Lee said the brittleness of the agreement might make it easy for Trump to abandon.